Weddings are almost always associated with food. When there is a celebration such as a wedding, food is always involved. That is why a big part of the planning process for a wedding is deciding what food items to give your guests. 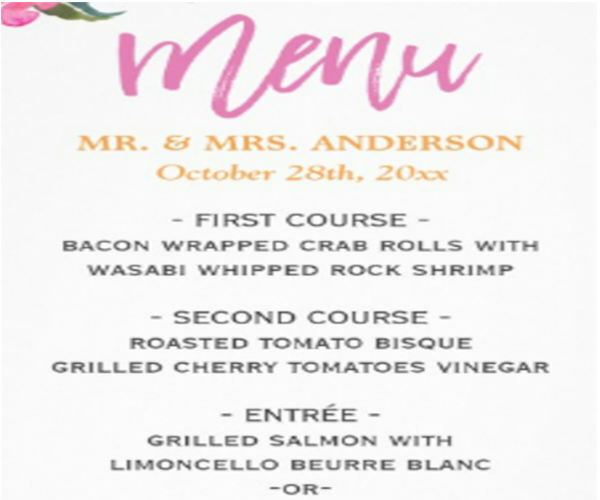 The wedding menu planning is often a cause of stress for many couples. 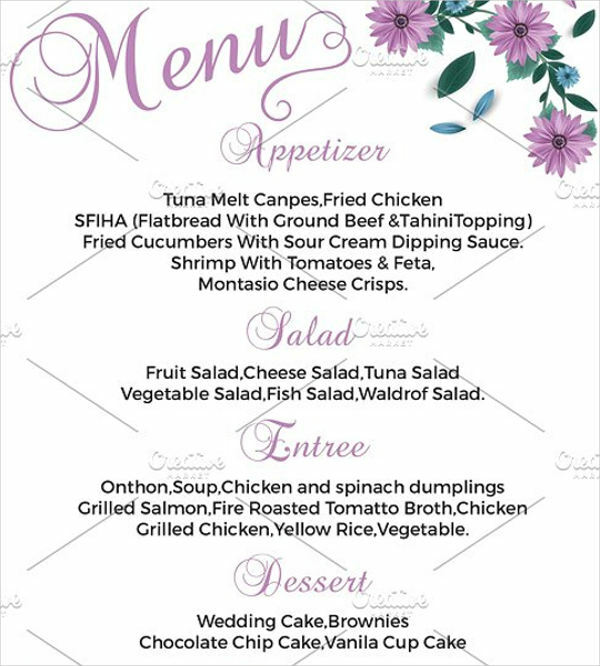 A wedding menu shows your guests what they will be served during the reception. It contains details such as the first course, the entree, and the dessert. 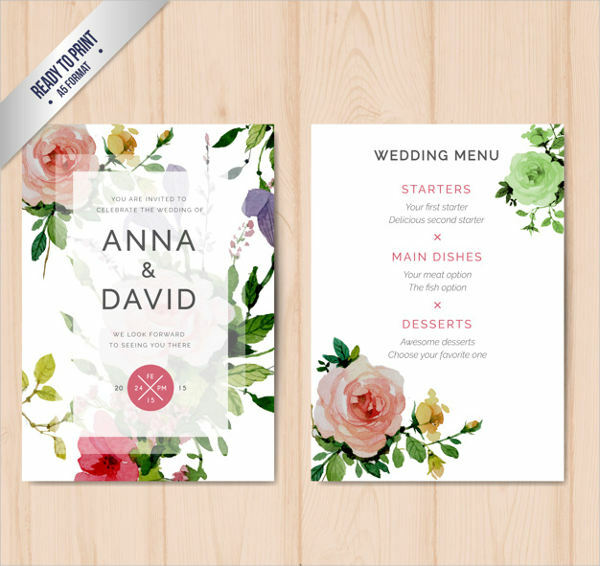 For an easier job, you can download free wedding menu templates online. 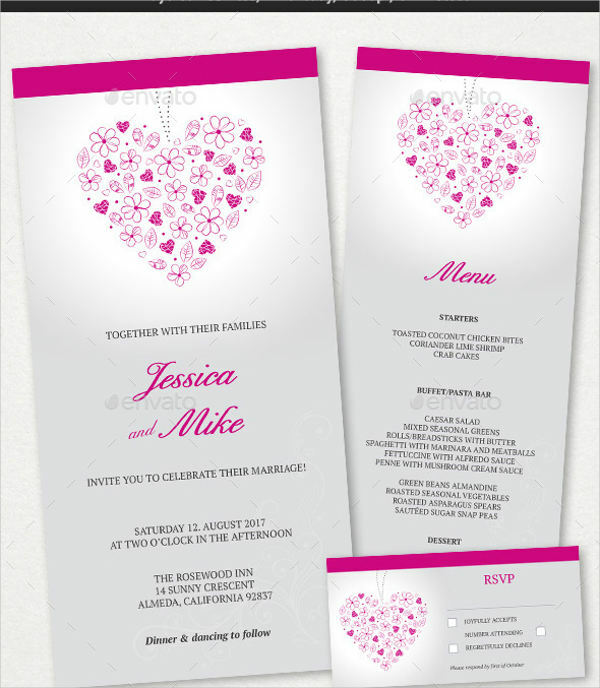 They are easy to customize and have good designs. With all the costs associated with weddings, any cost-saving tips would be most welcome. 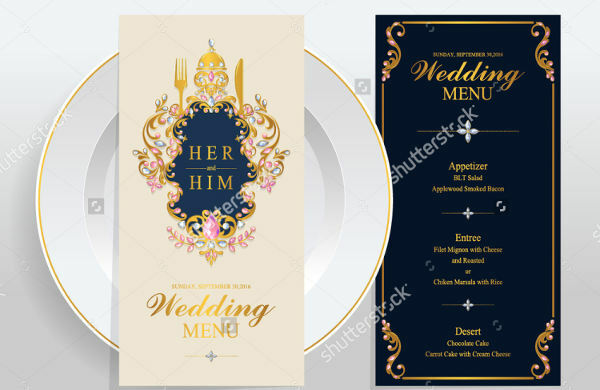 When planning your wedding menu, here are some useful tips on how you could save some of your hard-earned cash on wedding food. Have a daytime reception. The dinner is always the costliest meal of the day. You can save on food cost when you hold your reception on lunch or even a brunch or breakfast. Skip traditional caterers. 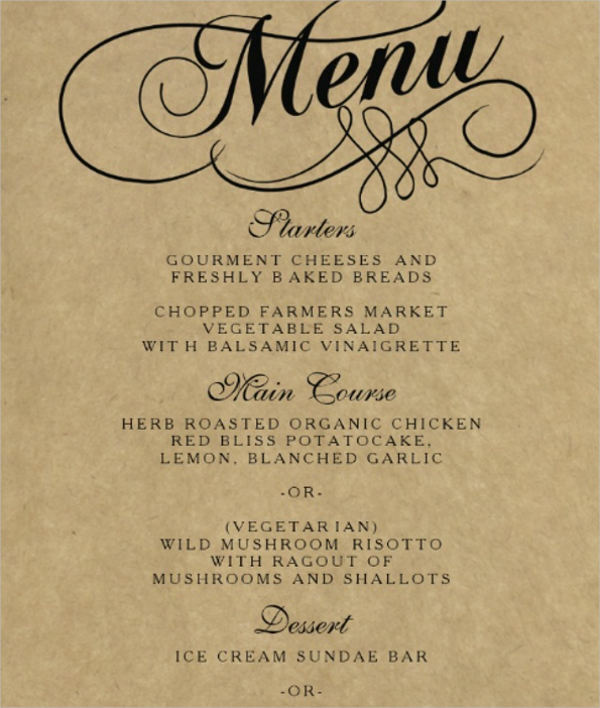 Caterers are almost always the first option when thinking of the menu. For you to save on food cost, however, you would need to look past them and look at other exciting options. You can have the reception at a local restaurant. Food trucks are also a thing right now and they offer just about anything. Provide your own table settings. A huge part of the caterer’s fee is from the linens and utensils that they provide for you. You can save a great deal when you provide them yourself. Get married in a school. Going on-campus is a great way to save on your menu costs. Another great way to save is to look for culinary schools near your area and see whether they cater to such events. 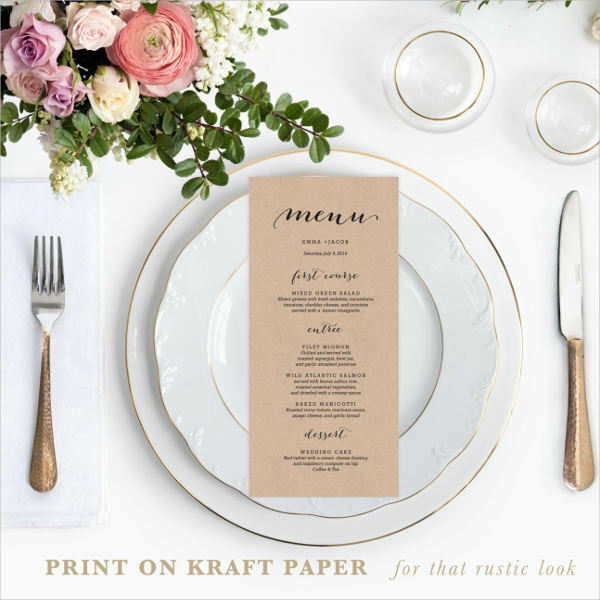 Wedding menus are not really a traditional part of weddings. Although this is the case, it is common courtesy to let your guests know what food will be served to them. For instance, your guests may be allergic to some type of food and seeing them on the menu lets them know which food to avoid. Provide details about the dishes but also keep an air of mystery. You can put in such details like whether you have vegetarian options, one-meal options, etc. You can also provide a little detail about the dish but you don’t have to list all the ingredients unless you want it to look like a recipe. Put one menu card per table. Some people prefer to give a menu to each seat. While this is good practice, it is not very economical to provide a menu for each person. Besides, guests don’t mind passing on the menu when they have already seen it. 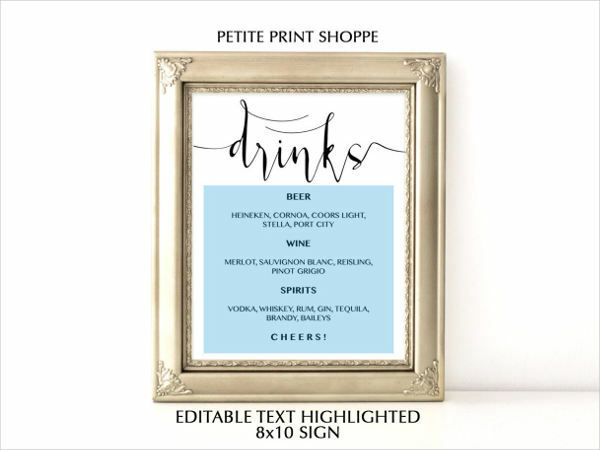 Provide a large-sized menu that is visible for everyone. 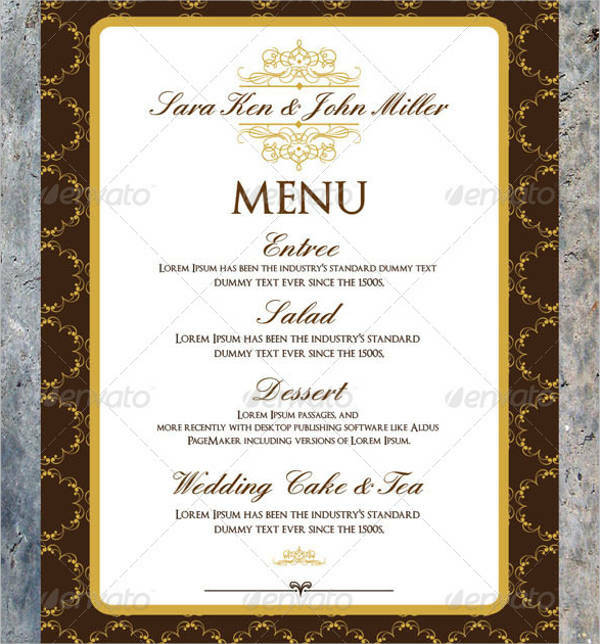 To further save on costs, you can print the menu and put it on a stand for all your guests to see. 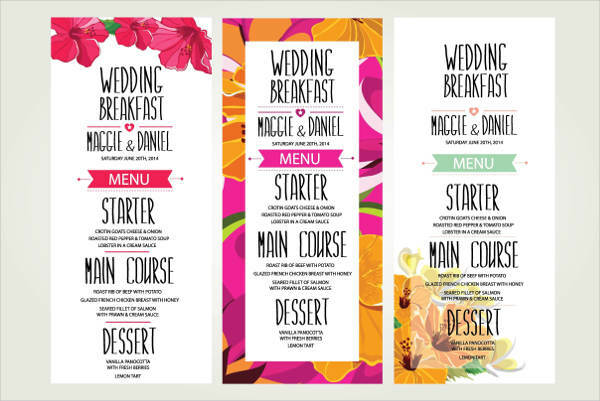 Making wedding menus can easily be done using wedding menu templates. 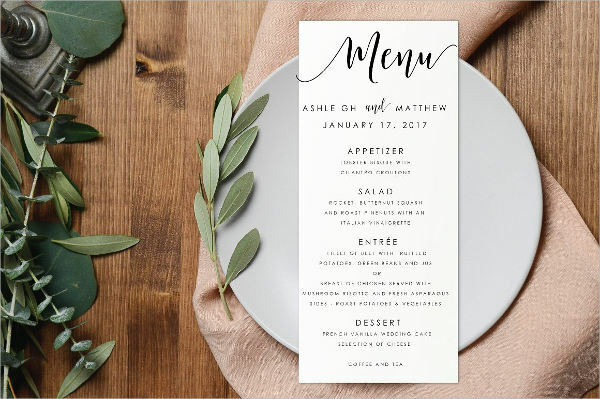 Download these templates for a stress-free menu planning for your wedding.